Interactive tutorials supporting information fluency and research skills, available to students at any time. This tutorial explains how to take a broad topic and narrow it down to something manageable for your research. It explains how to do this with a concept map, research pyramid, and brainstorm cloud. Leads: Glynis Asu (Hamilton College), Jesi Buell & Debbie Krahmer (Colgate University), Lindsay Bush (Union College), Paul Doty (St. Lawrence University), and Johanna MacKay & Barbara Norelli (Skidmore College). 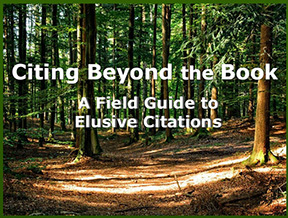 ​This tutorial, based on information provided by the Hamilton College Writing Center, explains the philosophy of attribution, the anatomy of a citation, how to paraphrase and cite borrowed ideas and common knowledge, and how to cite using popular styles (APA, MLA and Chicago). Leads: Glynis Asu (Hamilton College), and Beth Hoppe (Union College). This tutorial will teach you how to cite social media, data, and special collections materials in MLA or APA formats. Leads: Glynis Asu (Hamilton College), Lindsay Bush (Union College), Paul Doty (St. Lawrence University), Debbie Krahmer (Colgate University), and Johanna MacKay & Barbara Norelli (Skidmore College). 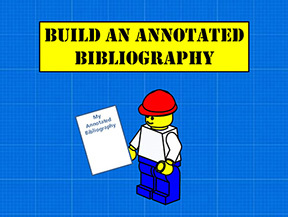 This tutorial describes the different parts of an annotated bibliography, explains how to write an effective annotation, and allows users the opportunity to create their own annotations for sources. Leads: Glynis Asu (Hamilton College), Jesi Buell (Colgate University), Yvette Cortes, Johanna MacKay & Barbara Norellii (Skidmore College), and Paul Doty (St. Lawrence University).